The overall objective of the project Soñando por el Cambio is to realize an educational and professional center in the city of Santo Domingo, which will not only provide for the education of adolescents in the area, but will also contribute to the diffusion of values such as the respect of human rights and the recognition of the inherent dignity for street children. The project, extremely innovative for the Ecuadorian background, provides adolescents with a set of different courses and training. During the morning, they will take part to sport activities, while during the afternoon educational courses and vocational training in the labs will take place. The adoption of the so-called "popular education system" has been chosen to provide the adolescents with the opportunity to make up for lost years of education. At the end of the attended program, they will hold a diploma and a professional title recognized by the Ministry of Education. The main objective of the vocational courses is to provide juveniles with the techniques and the know-how of a specific job. This will give them the opportunity to enter the formal job market and be highly competitive, benefiting at the same time of the laws and regulation in force in the country, especially as far as the protection of workers and minors' rights is concerned. After the construction of the building and the related infrastructures is completed, the second phase of the project will start and beneficiaries will be able to choose among the following courses: organic agriculture, office assistant, catering and eco-tourism, industrial mechanics, carpentry and tailoring. The choice of such professional pathways is due to the high demand for the corresponding job profiles, in order to promote the quick transition of the adolescents to the job market, whenever the courses are over. Sensacional Onlus wants to keep on supporting the Project Soñando por el Cambio through the building of two greenhouses and the implementation of an organic agriculture laboratory. These facilities will be used to realize a course of agronomy and will be useful to teach the juveniles subjects such as environment protection, biodiversity and food sovereignty. The lab will be provided with a brush cutter, a plow, a harrow, hoes, shovels, rakes and other working material; it will be used for the training during the 3-years-course on organic agriculture and agroecology. In particular, it should be noticed how innovative teaching agriculture in such a way is, especially in Ecuador . In fact, agroecology is mainly built on the concept that local agricultural systems incorporate "natural" mechanisms which allow crops to adapt smoothly to natural environment, thus avoiding the massive use of pesticides and fertilizer. If fully implemented, similar cultivation techniques can contribute to generate a relevant number of positive environmental externalities. Beyond organic methods, standard farming techniques will be taught as well, together with the management of all the other resources involved in the cultivation cycle (water, land, manure, etc.). The overall education plan is a great opportunity for the adolescents who will benefit of the courses and the provided infrastructures, since it represent a clear investment in their future. In order to foster the project visibility, posters with the sponsor's logo will be printed and affixed at the entrance of the lab and greenhouses. 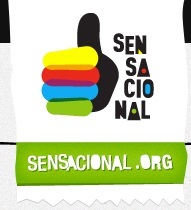 The Sensacional team will then take care of the realization of two web-campaigns on the themes of children protection and agroecology, promoting the initiative through its website and the major social networks. During the realizations of the different activities, videos will also be taped and shared on the Internet. The training will start when the greenhouses are build and the laboratory is ready to operate. • 100 young adults get a diploma which acknowledges their professional title of Agricultural Technician. With this, they may continue their education career or they may choose to start working for institutions involved in environmental protection and food sovereignty issues (Municipalities, Ministries, etc. ), as well as to enter the private sector. They will also have the expertise to apply their knowledge in their own or in family land plots. • More than 300 young adults attend courses of agroecology. The major aim here is to transmit knowledge of organic agriculture issues and philosophy to the largest possible share of people. In a later stage, the beneficiaries of these courses will be able to share the gained expertise in their communities, increasing the local awareness on subjects related to sustainable agricultural practices. • Through the work performed by the students, the greenhouses will provide the school canteen with the vegetables required to ensure a healthy diet to the students. This outcome has the double function of strongly reducing the project costs, while taking care of the dietary needs of the students. • Trade partners are identified in the city of Santo Domingo to sell out the unused stocks of greenhouse productions: markets, restaurants and other canteens will be involved in this phase, providing for further financial revenues which will concur to ensure the sustainability of the project.